Wear a FLYNT regular fit wool cashmere hybrid sport coat from Nordstrom with charcoal check dress pants for a sharp classy look. 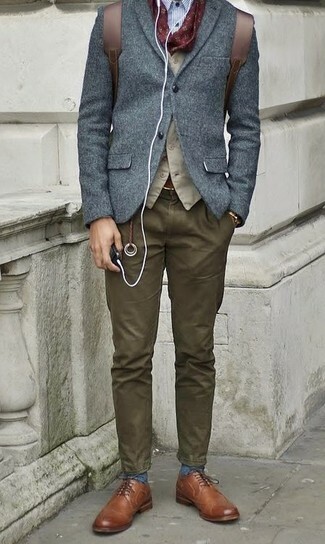 For something more on the daring side to round off this look, make dark brown leather derby shoes your footwear choice. As you can see, ensembleing stylish doesn't require that much effort. 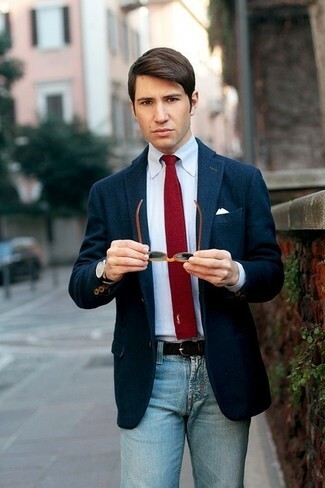 Just wear a FLYNT regular fit wool cashmere hybrid sport coat and light blue jeans and you'll look amazing. For a smart casual outfit, marry a FLYNT regular fit wool cashmere hybrid sport coat with navy jeans — these two pieces play beautifully together. 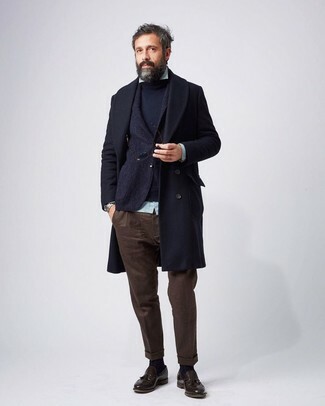 For a casually elegant outfit, reach for a FLYNT regular fit wool cashmere hybrid sport coat from Nordstrom and dark brown chinos — these two pieces play really well together. Channel your inner Ryan Gosling and choose a pair of dark brown leather tassel loafers to class up your ensemble. Contrary to what you might believe, being a dapper dude doesn't require that much effort. 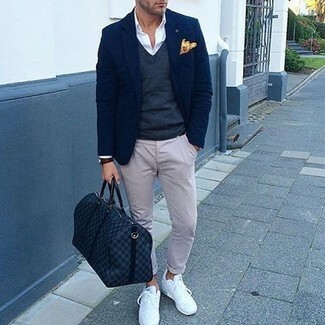 Just make a FLYNT regular fit wool cashmere hybrid sport coat from Nordstrom and grey chinos your outfit choice and you'll look incredibly stylish. Grab a pair of white low top sneakers to make the ensemble more current. Contrary to what you might believe, ensembleing seriously stylish doesn't take that much work. 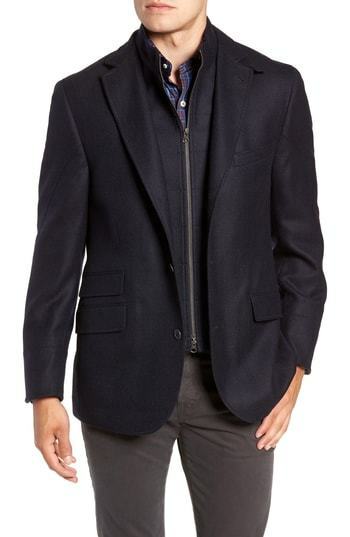 Just choose a FLYNT regular fit wool cashmere hybrid sport coat from Nordstrom and beige chinos and you'll look awesome. Why not introduce tobacco leather tassel loafers to the mix for an added touch of style? 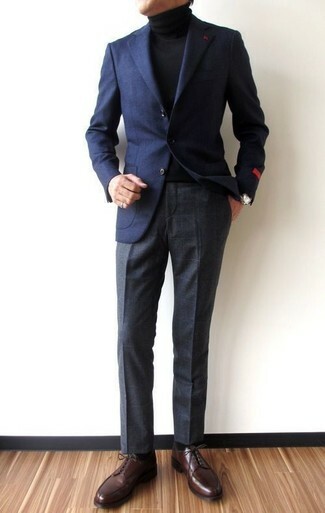 If you're in search of a casual yet stylish outfit, reach for a navy wool blazer and khaki cargo pants. Both items are totally comfortable and will look great paired together. Throw in a pair of burgundy leather work boots for a more relaxed feel. 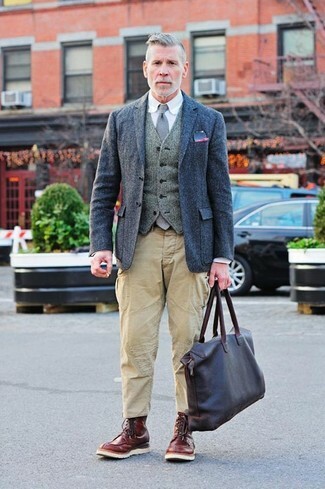 Contrary to what you might believe, being a dapper dude doesn't take that much the workplace. 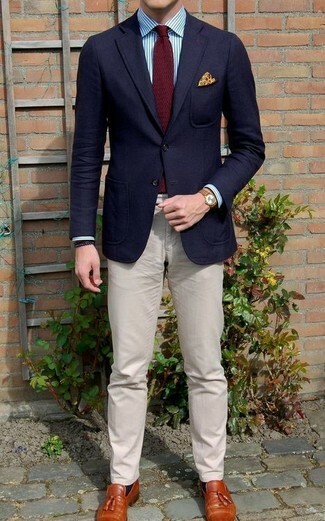 Just pair a FLYNT regular fit wool cashmere hybrid sport coat with olive chinos and you'll look amazing. 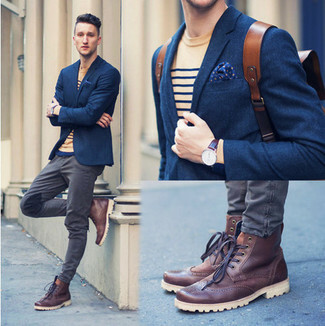 You could perhaps get a little creative in the shoe department and lift up your look with brown leather derby shoes. As you can see here, being a dapper dude doesn't take that much time. 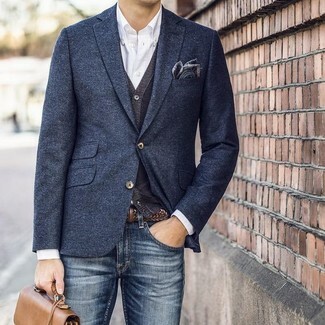 Just make a navy wool blazer and grey jeans your outfit choice and you'll look wonderful. To add elegance to your outfit, complement with burgundy leather brogue boots.